Adelaide Duo / Band 728 offers a vibrant, live-music concert experience. 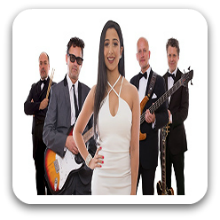 Performing for any audience from Corporate, Weddings, Christmas Functions, Festivals, Wineries, and Community Events right through to Birthdays and Private Functions. Adelaide Duo / Band 728’s extensive repertoire covers a variety of styles and artists, from the 60’s to the very latest Top 40 hits! They perform easy listening music, smooth jazz, classy soul and your favourite dance songs! Adelaide Band 728’s versatility is sure to be the best ingredient for making your next event a complete hit! Can perform as a: Duo. 3, 4, 5, 6, 7, 8, 9 and 10 Piece Band and are available to perform in Adelaide and Surrounding Areas. The entire process from getting the quote to payment and dealing with the band and not to mention the performers was faultless. I was let with no entertainment one week before my event and these guys came to the rescue. They made the night and knew how to read the crowd and changed the music up to keep the party going. Can’t thank them enough for making our night a blast! It was a pleasure to work with you and help make your night an absolute success. Thank you for using Black Tie Group Entertainment Agency to book our band. This band were a real crowd pleaser, I’m so glad we chose them for our work Christmas party. They played in front of a crowd of 180 and everyone was happy and dancing! They were great to deal with and really flexible and worked with our dinner arrangements. Thank you Band 728 and Black Tie Group Entertainment Agency, you made the music component of the night really easy! That is wonderful feedback thank you. We pride ourselves on delivering music people can listen to while talking and then dance to when it is party time. It was great to see so many people on the dance floor having a wonderful time! We enjoyed performing for your group and your help leading up to the event was well appreciated. Thank you for using Black Tie Group Entertainment Agency to book our band. The whole process was streamless from start to finish. Band 728 were awesome we had them for our End of Year Xmas staff party, they were on time, flexible in working around our presentations etc and the music awesome. I was so extremely happy I stumbled across the site and able to have them join us for our celebrations.